And yet it continues to have limited appeal in the modern world although the benefits are outstanding. Reasons for this could be hills, bad weather, risk, inconvenient sweat and fatigue, or not being able to push the body as hard as before.. But what if we had a bike that took away those excuses and limitations? What if a bike could have more universal appeal, making the sport accessible to all levels of cyclists? In this context, ebikes are marking a new era; but it's still not uncommon to hear that they’re for lazy people or weirdos. However, there are many of us who prefer to ride a bike without having to work so hard or who simply want to enjoy a great adventure, backed by a little extra help. Help that is both efficient and sufficient. What does that mean? More is not necessarily better. The most important aspect of an e-bike is not the power of the motor, rather how much energy we let through from the battery to the motor, how we let it through and when. At one time or another you may have tried e-bikes with a very powerful motor whose controller is limited to suddenly giving you more or less energy according to the selected level of assistance (25% energy at level 1, 50% at level 2, etc.). This logic of a single motor map can cause your bike to behave somewhat unpredictably, and as a result, you don't feel safe or natural - like the bike is doing all the work. In short, the bicycle gives you a feeling of insecurity instead of the sensation of freedom we mentioned earlier. That’s why efficiency, or better yet, a sufficient distribution of energy, is so important. Sufficient power is a special development for ebike users who have a more sporting concept of riding. They’re not looking for a means of transportation that requires very little effort on their urban commute or heavy, 500W batteries with which to conquer their adventures. 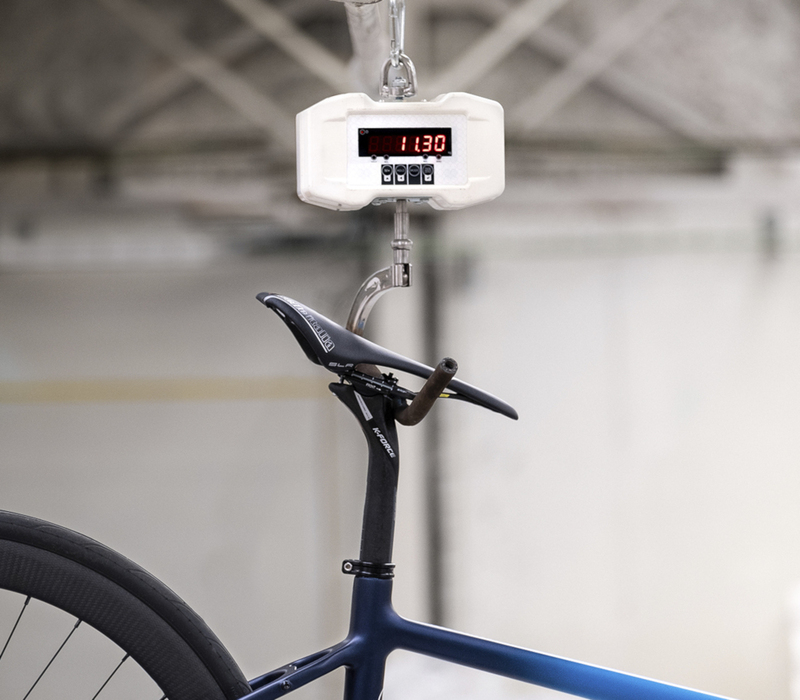 They’re looking for a bicycle with characteristics similar to those of a mechanical bike: a bike with a geometry to optimize pedaling efficiency that has good levels of rigidity and lightness similar to those of traditional bikes. They appreciate a motor that doses out power gently along the route in order to improve the experience, with added support to keep going on those long days of pedaling. It’s also pretty common to hear that ebikes are unattractive, that they are monstrosities created by sticking a motor and a battery on a conventional frame. Gain addresses these concerns with its aesthetics and unique motor function. Gain’s Ebikemotion battery is built into the frame, the hub motor is subtle and light, and the minimal amount of electronics make gain seem much closer in appearance and function to a traditional bike. Adding to all this is an impressive weight savings provided by a monocoque carbon frame (Gain Carbon models weigh as little as 11.3kg). Orbea’s Gain sports multiple innovations, such as a sensor that monitors your pedaling style and adjusts assistance accordingly (referred to as P.A.S) and the possibility to add a second battery for long rides. There is a dedicated APP that gives you greater control over the motor function, and of course there is the option to create the ebike of your dreams through MyO. When we add collaboration with Mavic to provide its best-selling Aksium elite and Cosmic Carbon wheels on a motor, what could the result be? Gain is the best tool for bringing the sensation of freedom to cyclists at all levels. Or in other words, it’s the perfect tool to Enhance Your Ride.